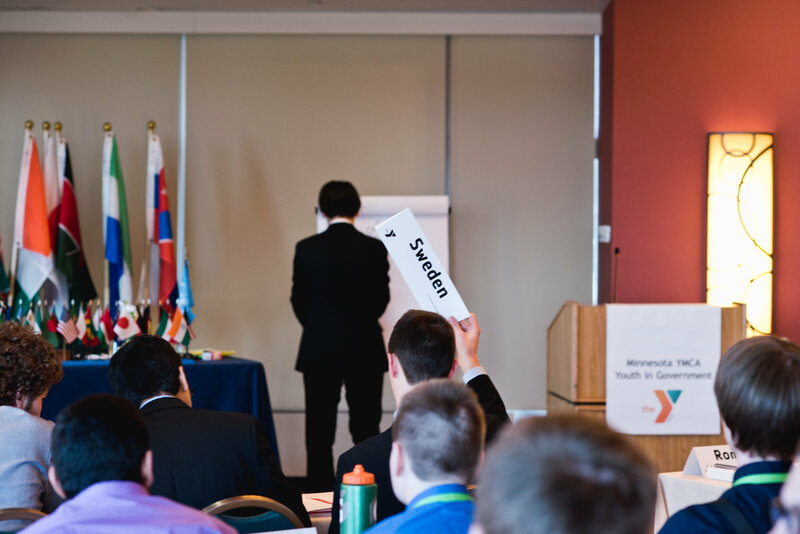 We believe every student should experience YIG programs, regardless of family income. Thanks to the generous support of our donors, we are able to offer scholarships to students who need a little extra help. In addition to the options listed below, many delegations offer scholarships and financing options as well; contact your local delegation director for more information. Scholarships are awarded to qualified applicants on a first-come, first-served basis. To apply, please download this form or contact the YIG State Office to have one mailed to you. If you would like to contribute to YIG and make it possible for more scholarships to be awarded, please navigate to our "Give" page. Two scholarship awards have been established by generous donors for the purpose of recognizing and encouraging youth leaders in the Youth in Government Model Assembly Session. Beth was a Model Assembly participant during her 8th, 9th and 10th grade years. Through YIG, Beth discovered a love for government. She was known for having high values and a strong commitment to her faith. She was a person of honesty and integrity who led by example through hard work and determination, while always maintaining a great sense of humor. Beth passed away at the young age of 17 but her love for children and her commitment to supporting the underdog will live on in YIG participants for years to come. Chase participated in Minnesota YMCA Youth in Government programs throughout high school – in both Model Assembly and Model United Nations. Chase’s passion for law was ignited through YIG, which was the reason he decided to pursue law as a career path. Chase was known to vocally defend and stand against injustice. He was hard-working, clever, outwardly focused, determined, caring and deliberate. In April, 2016, Chase was killed by a disgruntled client while on-the-job at a criminal defense firm. His outgoing personality has made a significant impact on others, which continues through this award.